I’ve had big dreams for our entry way. 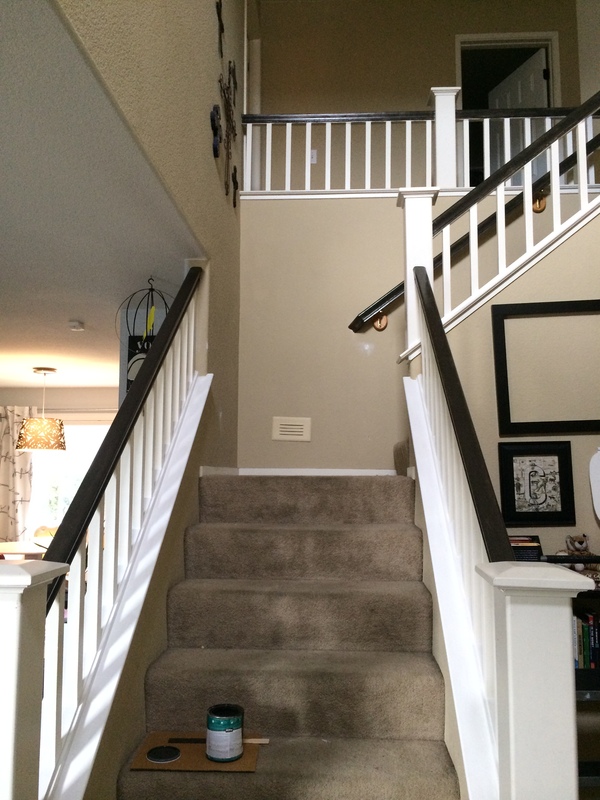 It’s difficult to describe vaulted area that leads to 3 areas in our home. I have been determined on adding features that would set this tiny area apart, we are 6 months into it now and it’s still haunting me. 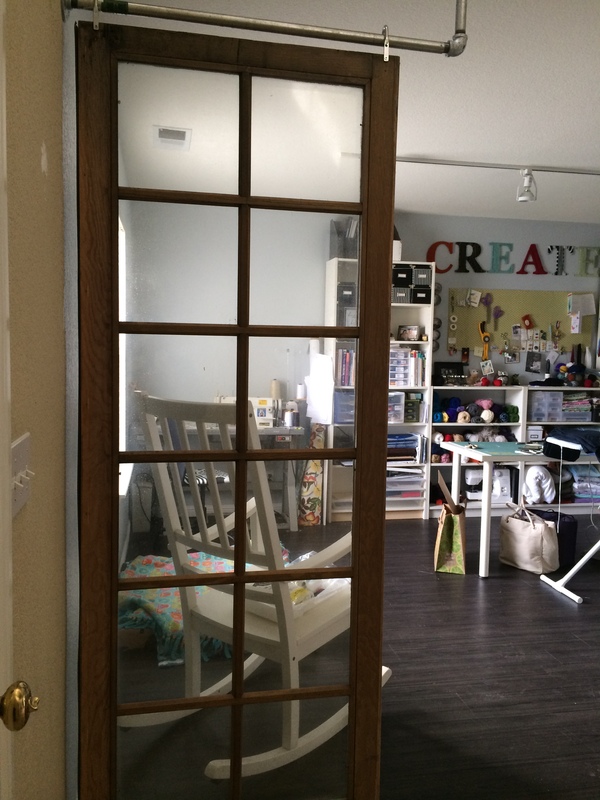 This is the view as you enter the house… my craft room to the left, stairs to the front, and living room/kitchen to the right… the view usually includes Ivy. First thing we did earlier this year was add an old French door to act as a divider between the front room and entry area. This door was hung using the same method we used for our “barn door” in the adjacent dining room. I love that the glass panels allow the light to pass but still separate the area without making it feel closed off. Plus I don’t want guests to feel like they come into our home and BAM, you’re in the craft room so get crafting! This was my vision. Fancy mirror and cool table. I’ve been on the hunt for something to jump out at me but have been striking out. 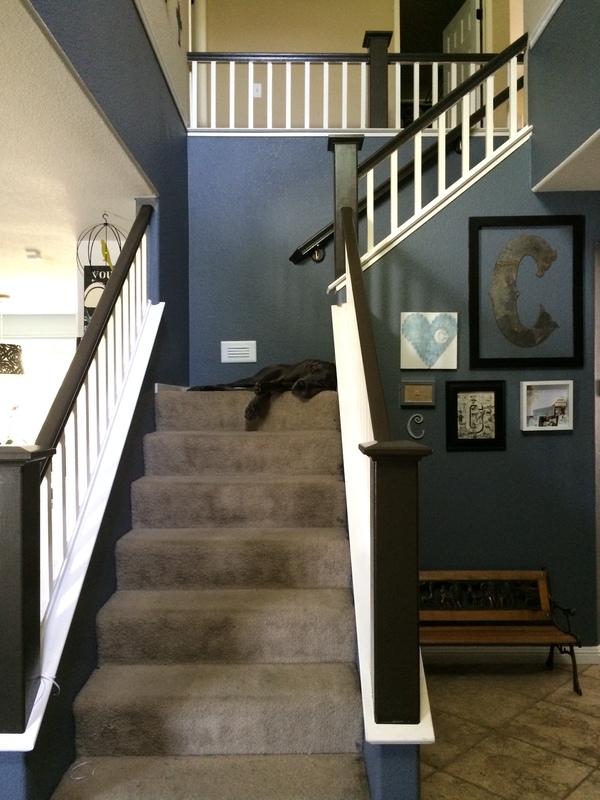 Since this photo was taken the door has been painted using Behr Stealth Jet to match the staircase handrails and sister door. 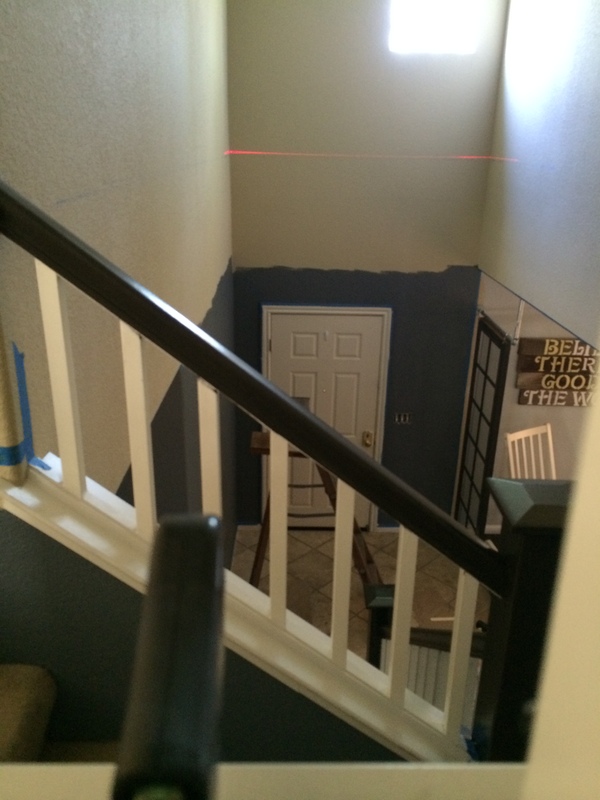 Here is a progress shot from the day we painted the entry way. (Also a good overhead shot of doors). I brought out the nifty laser for this project. 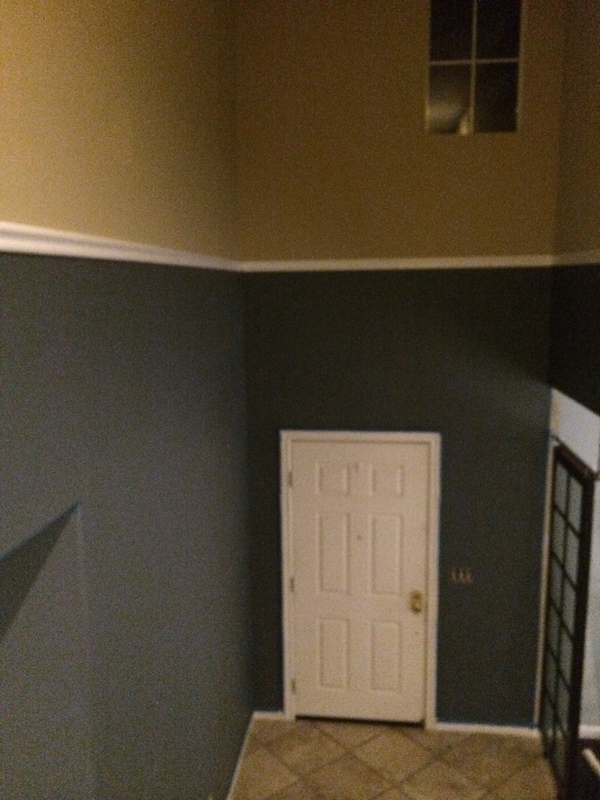 After receiving an outrageous quote for a professional paint job, we decided the cheaper solution to the vaulted ceilings was to paint only part way up and add an elevated chair rail molding at the divide. Worked perfect! 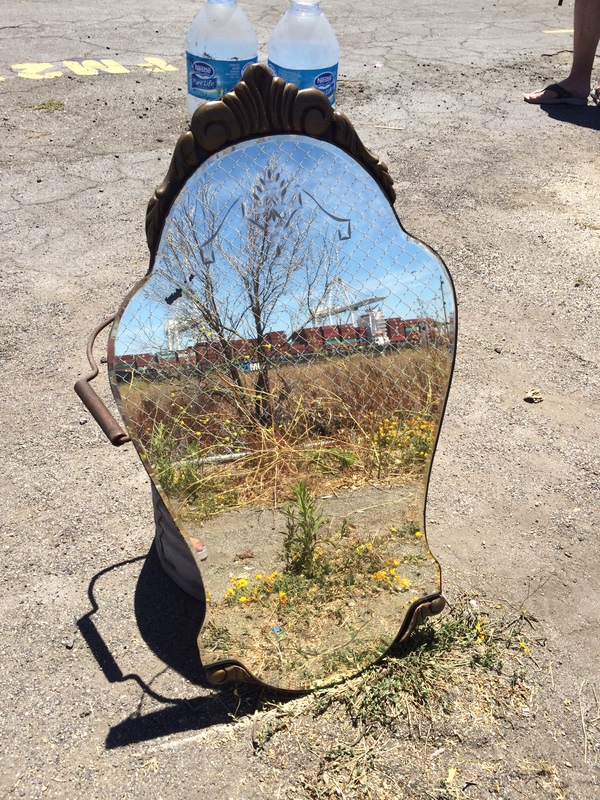 Back to the mirror hunting….last week we hit the Alameda Antique Fair on a mission. Just when I thought hope was lost, I spotted it from far away. I picked up the pace and prayed no one would beat me to it, cus you know that happens in the antique world. There she was, in all her quirky beauty. 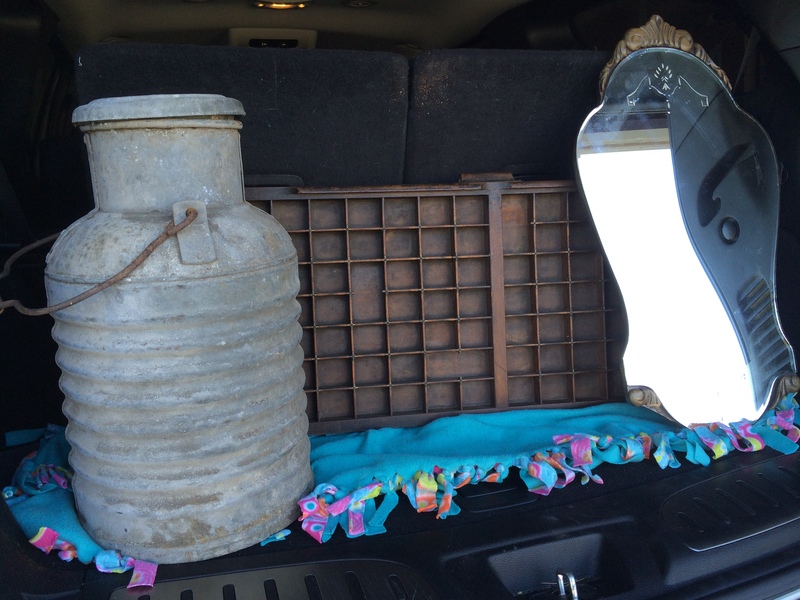 Scored a couple other unexpected items that day making Thrifty Sunday a huuuuge success! The milk jug will be joining the entry way and serve as an umbrella holder. I didn’t realize how “fairy tail-ish” the mirror actually looks. Now I like it even more. 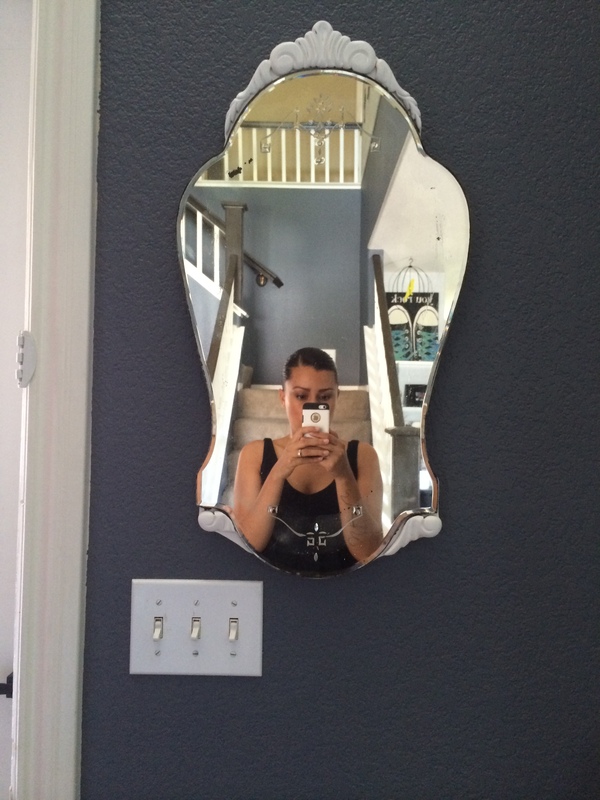 After carefully taping off the mirrored portion I brought out the spray primer and attempted the make over. The wooden pieces proved extremely difficult to paint over. 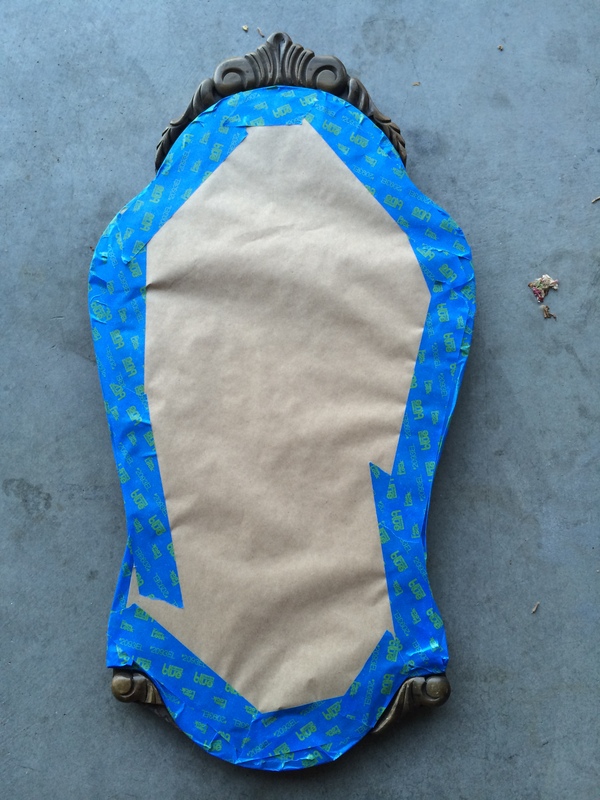 I had heard of wood strain “bleeding” thru primer/paint but had never experienced it. I layered on the coats of primer but the weird red streaks kept oozing thru. This one day project was now turning into a week-long affair. After a trip to the hardware store for some even stronger primer, I finally started seeing some stain coverage. And up on the wall she goes. 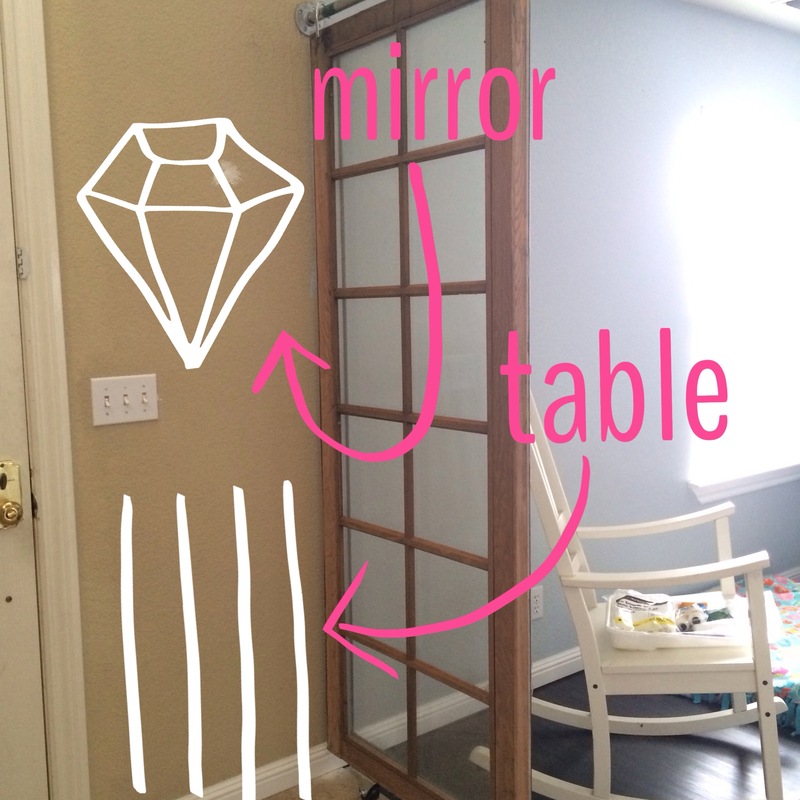 The search continues for the elusive perfect table to go right under the mirror. The sole driving factor is I want somewhere to put the Halloween candy bowl. That’s important right? 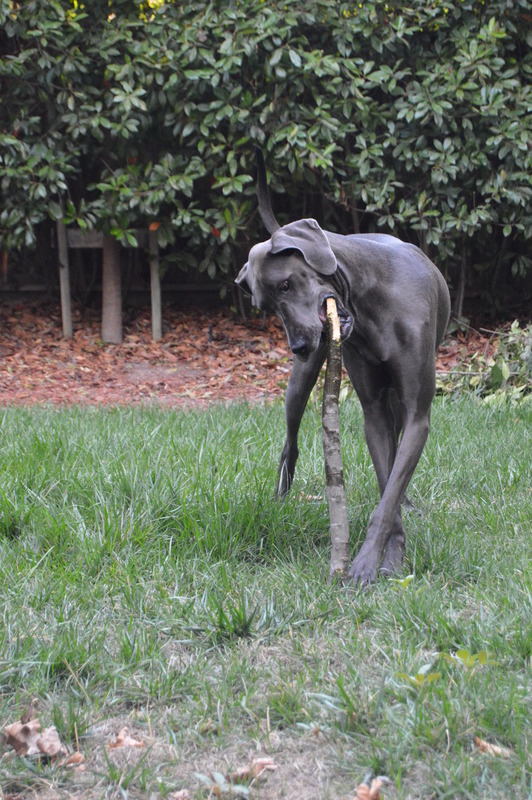 We did some much-needed yard clean up recently, and Ivy was there to “help”. 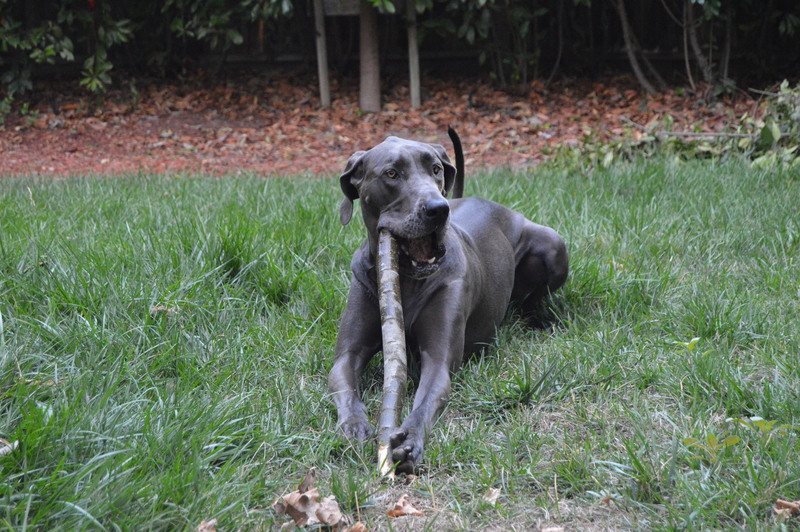 She enjoys the largest branches she can find and will claim them as new chew toys. Next Post Whats on the hook Wednesday!